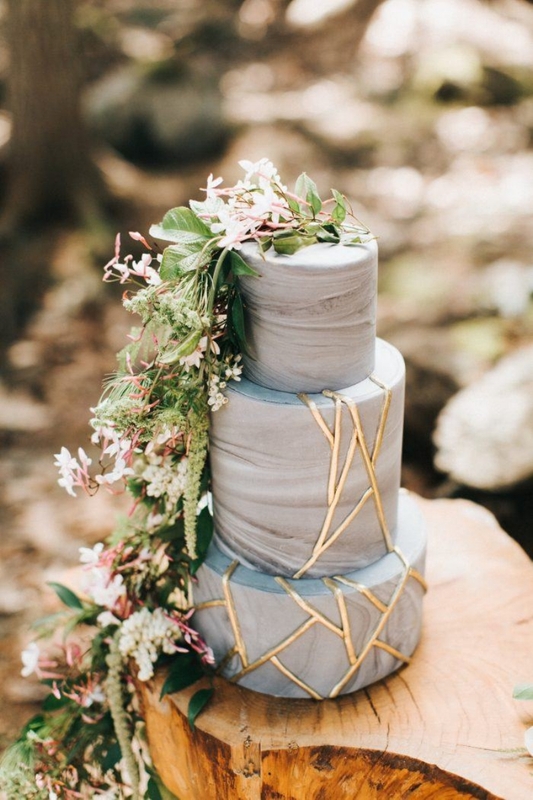 Naked cakes are a big trend of 2018. This unfinished-look cake is perfect for a rustic barn wedding. A three-tiered cake layered with cream cheese and garnished with fresh flowers will complete the romantic look on your big day. 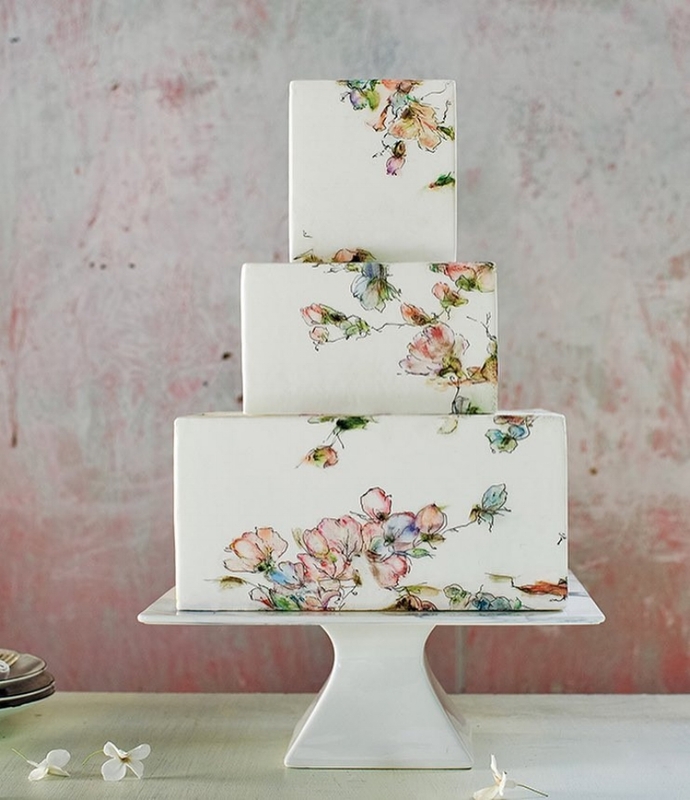 Yes, you're reading this right… watercolor on cakes! Give it extra color and have your flowers drawn on your cake or be more creative and have your favorite childhood drawings drawn on your wedding cake? (Just like Angelina Jolie did with her kids drawings printed on her dress). Give it an angelic feeling by going all white. This trend has been around for many years and will never go out of style. Want to have your wedding cake, simple yet classy and elegant? White-on-white cake would be your best choice. Geometric-inspired cakes are perfect for a contemporary, modern art and industrial themed weddings. This cake is all about glam and fabulously modern feeling. Create a layered cake with a swirl of your own favorite color, finish it up with some texture and ruffles and finally add some fresh flowers to complete the look.